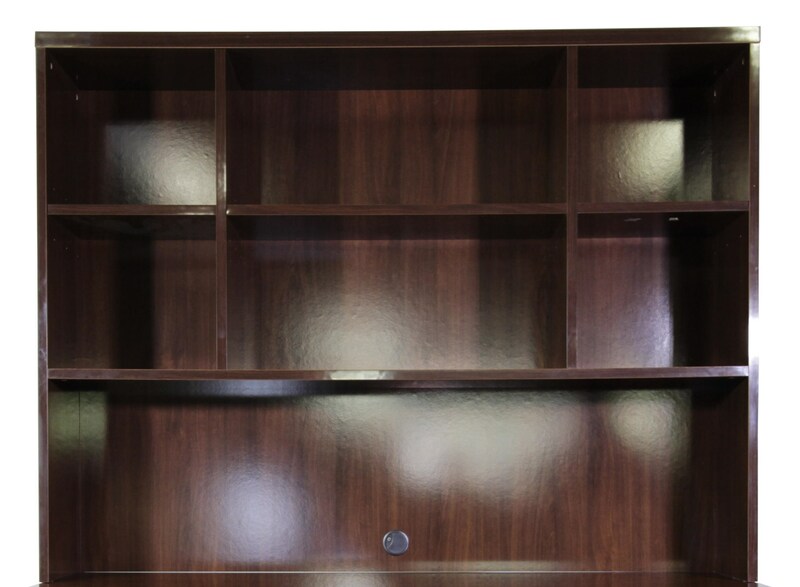 The Pisa Credenza Hutch by Alf Italia at HomeWorld Furniture in the Hawaii, Oahu, Hilo, Kona, Maui area. Product availability may vary. Contact us for the most current availability on this product. The Pisa collection offers modern silhouettes with rich wood detailing. Walnut canaletto and zebrano veneers decorate case tops and drawer and door fronts, the lighter inlays creating unique geometric designs. Clean lines establish modern shapes, while a high gloss finish brings a sense of polish and sophistication to each piece. Modern in style and function, the collection is outfitted with ample storage options and smart features like built in lighting or cord access. A mix of simple shapes with intricate wood work, the Pisa collection represents refined modern Italian style. The Pisa collection is a great option if you are looking for Contemporary furniture in the Hawaii, Oahu, Hilo, Kona, Maui area.